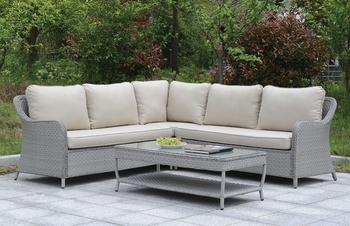 Lounge out and soak up the sun with this outdoor sectional set. 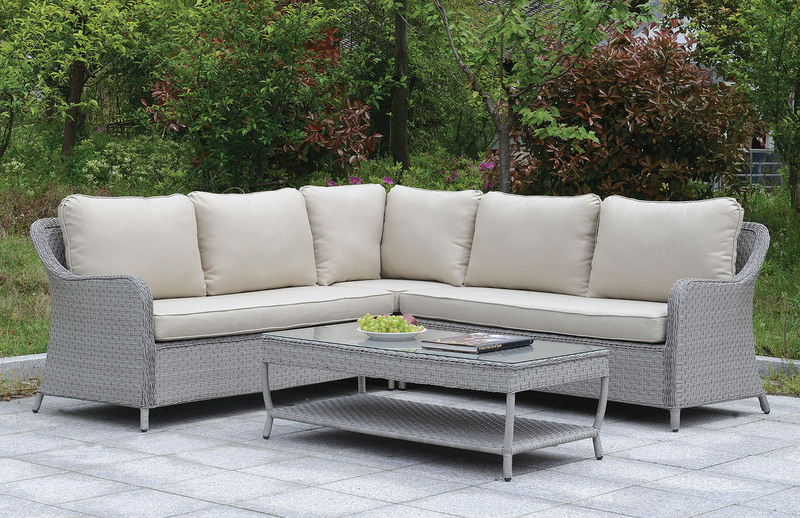 Weather resistant wicker is crafted from aluminum to resist water and protect against damaging UV rays. Wind down on comfortable foam cushioned pillows and easily fit friends and family with its spacious design. Grey finishes the set with cooling tones that keep you calm and comfortably relaxed.